CNES has come up with an innovative satellite remote-sensing system capable of generating a high-resolution picture of Earth on the Web, refreshed every week. Four patents have already been filed for the concept, called e-CORCE. Since 2006, CNES engineers engaged in long-term research have been mulling an idea: might it not be possible, with tomorrow’s technologies, to take pictures of the entire globe in unrivalled detail and disseminate them directly over the Internet? For although Google Earth works very well, its resolution varies greatly from one region to another and its imagery is updated randomly. Jean-Pierre Antikidis and Jean-Jacques Favier present e-CORCE to the press on 15 October at CNES headquarters in Paris. Credits: CNES/S. Charrier. 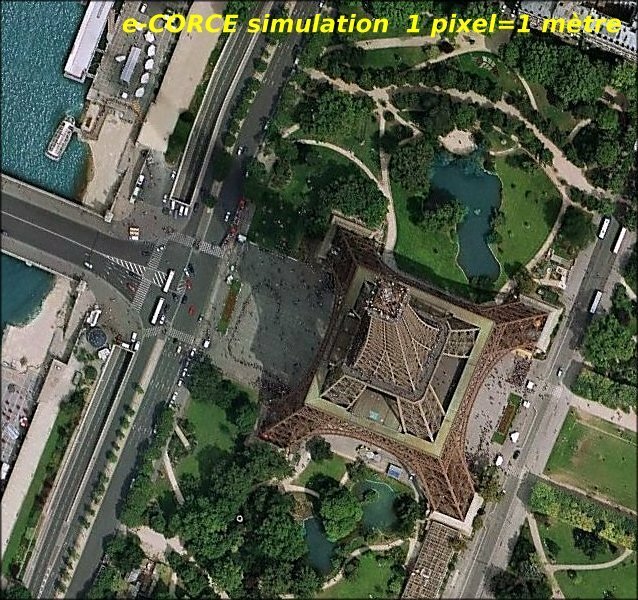 After studying and reviewing the e-CORCE1 project for 2 years, CNES has delivered its verdict: it will be possible by 2014 to photograph all of the continents in colour at a resolution of 1 metre, every week. How? With a constellation of 13 Earth-orbiting microsatellites at 600 km, imaging everything in their path and downlinking compressed data to processing centres around the world. 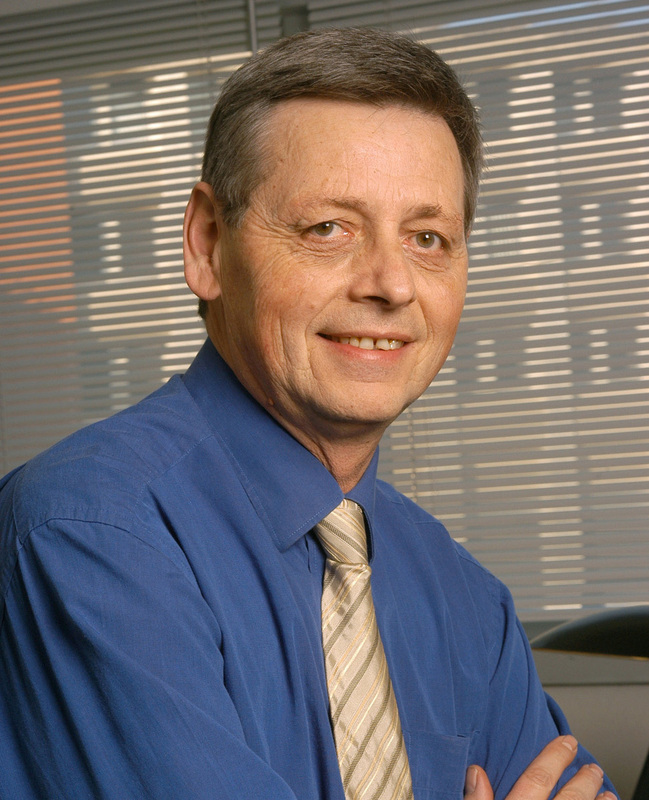 “The satellites are our eyes and the ground network is the brain,” says Jean-Pierre Antikidis, the man who dreamed up e-CORCE. 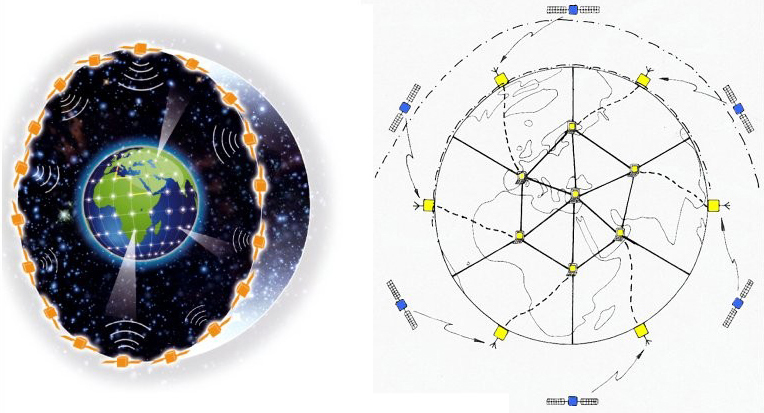 e-CORCE will consist of a constellation of 13 microsatellites and 50 ground stations. Credits: CNES. The e-CORCE system will offer metric resolution. Credits: CNES. e-CORCE performs 2 tricks to achieve this feat. The 1st involves image compression—ocean imagery is compressed more than images of cities—on board the satellites, a “psycho-visual” compression that is transparent to Web users. Jean-Jacques Favier. Crédits : CNES. e-CORCE promises to deliver detailed, easily accessible and regularly updated imagery of the entire Earth cheaper than what is available in the professional market. The ball is now in the manufacturers’ court, as €400 million in funding will be needed to make e-CORCE a reality. Article Cnes Mag N° 36 "Society"